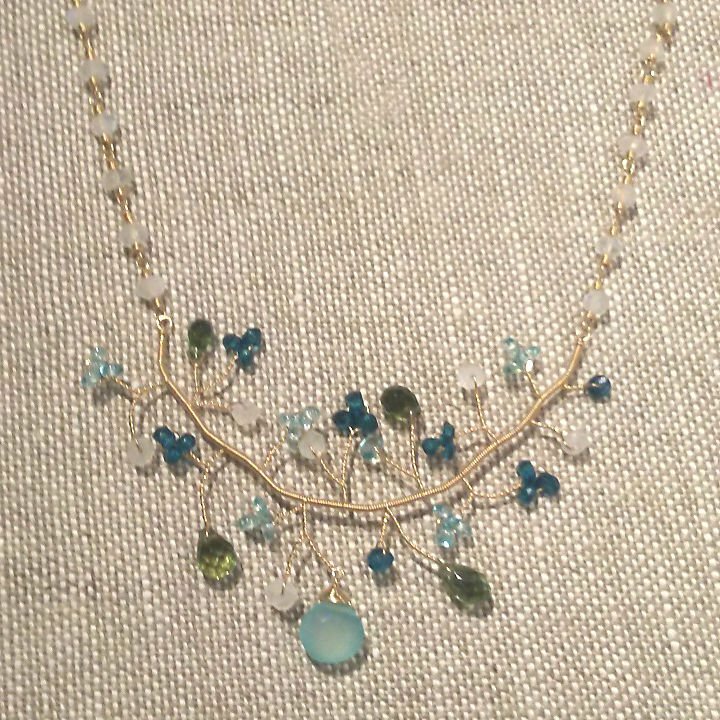 14k gold wire, moonstones, apatite and peridot make this necklace amazing. Twisted wire create branches that delicately hold faceted natural stones. 16" - 18" in length with the attached (and incorporated with stones) extender with lobster clasp.